Shirt and sweater are a combination that I love but somehow I rarely wear. I love the preppy vibe they give . Here I went with a light denim shirt and a cosy warm pink cardigan. I love how this cardigan is long and has pockets and gives the shirt & sweater combination a relaxed tone. Just because summer is over, that doesn’t mean you cannot wear your summer dresses anymore. You can easily layer them for fall, so why not take them into winter by layering a sweater on top? The black dress is one of my oldest and flattering dresses that never failed me. Paired it with a cosy colourful sweater and I am ready to go. I recently discovered a love for turtleneck tops and sweaters. One my favorite is this short-sleeved grey one from H&M (that I cannot seem to find anymore in the shop 🙁 ). 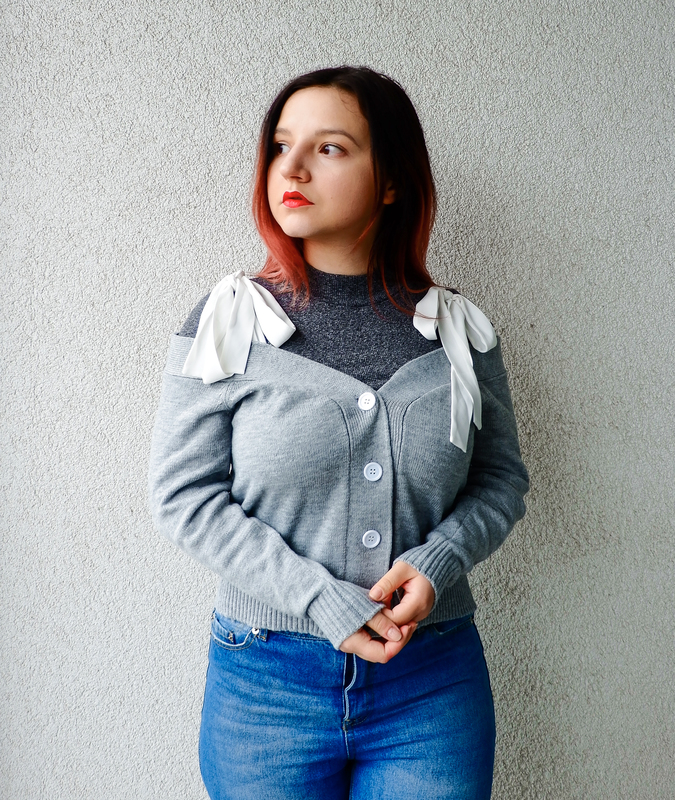 This cold shoulder sweater with bows is a bit more special, so to wear it in winter it would need an extra layer of warmth. If you have cold shoulder sweaters or tops, adding a turtleneck under can make a huge difference in keeping you warm! These were 3 ways to layer clothes this winter, to look stylish while being warm. What is your favorite layering combination? Like your layering ideas! My favorite style trick is layering a sweater over my maxi dress. This allows me to transition my favorite summer dress into winter.